Today's women have active, busy lifestyles, and a purse insert organizer can make it easy to change your handbag and have all your essentials together in seconds. There are several styles available, and most can easily be purchased online. Just as there are many types of handbags available, there are also many types of purse organizers and insert organizers as well. The tricky thing about most of these products is that they are mainly available on the company websites. However, occasionally you'll get lucky and find a few at your local retail or department store like Target, T.J. Maxx, and Sears. Here are a few of the types of handbag insert organizers available. These types of organizers are substantial in size and are very versatile. They may have a variety of open pockets and sections to place your items for easy reach. These closely resemble organizer purse liners, but these can be removed and easily placed in another bag by handles or other placement method. An example of this type of insert is the popular Chameleon Insert, available in small, medium, and large sizes, and the Presto Purse. Pouch type insert organizers are slightly more streamlined than open inserts in that their design is typically in a rectangular or other pouch design with a top that zippers or snaps closed. 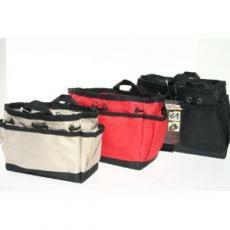 These organizers may also have external open pockets and card slots. Pouchee Insert is an example of this type of organizer. Arguably the most popular type of insert organizer, this type is designed be curled to go around the internal lining of the handbag with open, stand-up pockets. Some designs also feature closed pockets for change or other accessories, cell phone pockets, and card slots as well. 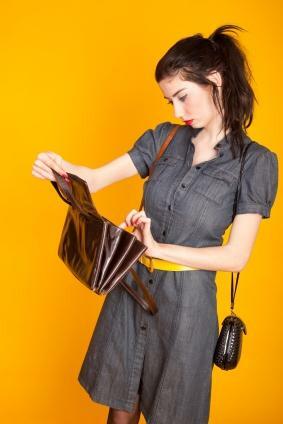 The central area of the purse remains open for large or bulky items. These can be used in many shapes and sizes of purses. There are also a variety of patterns available for crafters and those who can sew to make their own. An example of this style of organizer is the popular Purseket Organizer. Kwiki Purse Insert Organizer: In addition to the organizers, this brand also offers traditional handbags, hats and robes. However, their purse inserts are the stars of the show. Featuring numerous dividers, pockets, sections and compartments, digging endlessly inside your purse is a thing of the past. Purslip Purse Organizer Insert: Think of this organizer as a portable makeup bag for all of your handbag contents. That's because it is a satin, removable insert that comes in a wide range of dimensions and sizes for small and large purses. There is also a convenient drawstring on the side of the insert that you simply pull to close, eliminating the worry of your zipper not closing when it's filled to the max. Joey Junior: This site offers both a stand-alone insert (great for compact purses) and peripheral pocket organizers in a variety of classic and luxe fabrics. PortaPockets by Studio Kat Designs: Both sturdy open inserts and peripheral pocket styles are available from this company in great fabrics at affordable prices. Kangaroo Keeper: This as-seen-on-tv insert is one of the roomier styles available, is affordable, and has 12 slip pockets. With an insert organizer, you'll be well on your way to handbag heaven, no matter what type of bag you carry. A put-together purse doesn't have to be complicated; shortcuts like slip-in organizers make it a simple task to keep your handbag streamlined.